In one of the recent episodes of the Folk Radio Podcast – Folk Radio Episode 51 – I have discovered a song that I did like immediately – especially because I could recognize a nicely played mandolin. 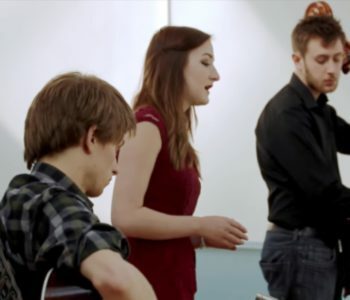 This way I have discovered the music of Scottish singer Iona Fyfe. 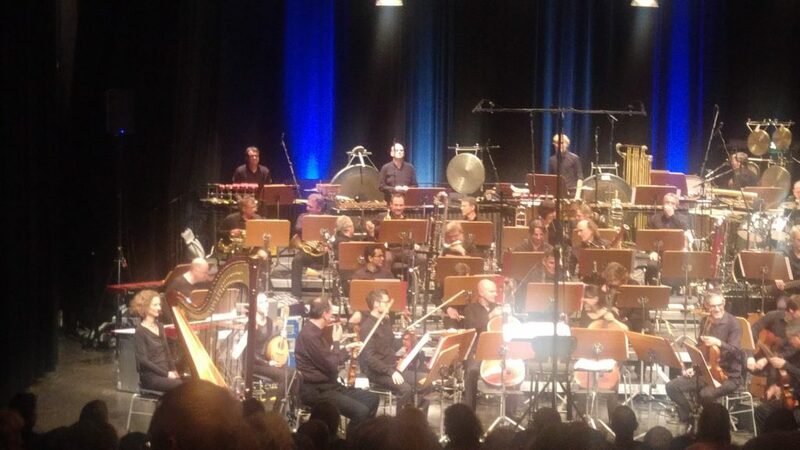 On April 7, 2019 I was at a concert of the SWR Sinfonie Orchester in Freiburg. The program was composed of works by Frank Zappa. It began with three pieces from the Yellow Shark project. 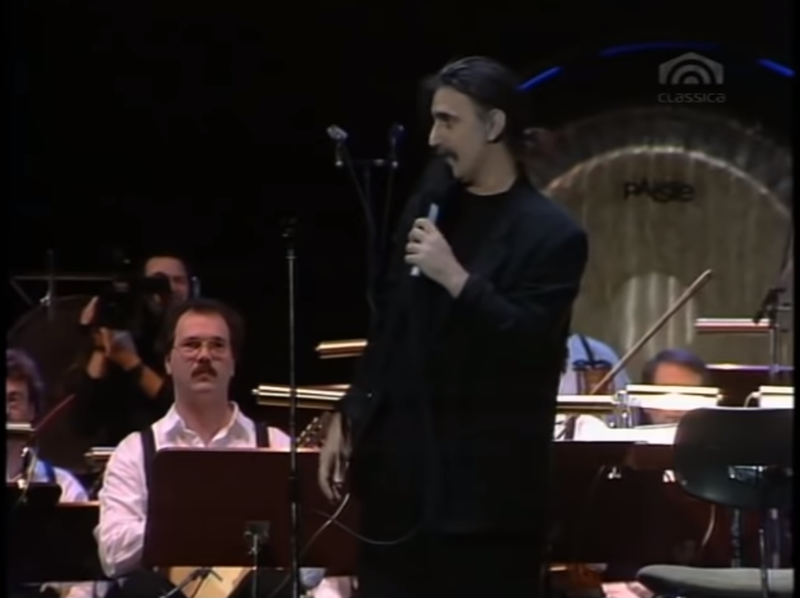 In 1992 Frank Zappa worked together with the Ensemble Moderne to produce a concert with his works played by a classical orchestra. The mandolin player in Freiburg was Denise Wambsgans. 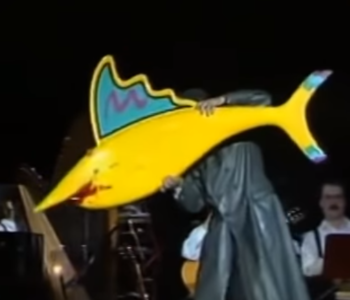 The world premiere of Yellow Shark took place at the Alte Oper in Frankfurt on Sept. 17, 1992. The recording of this concert is now available at youtube. 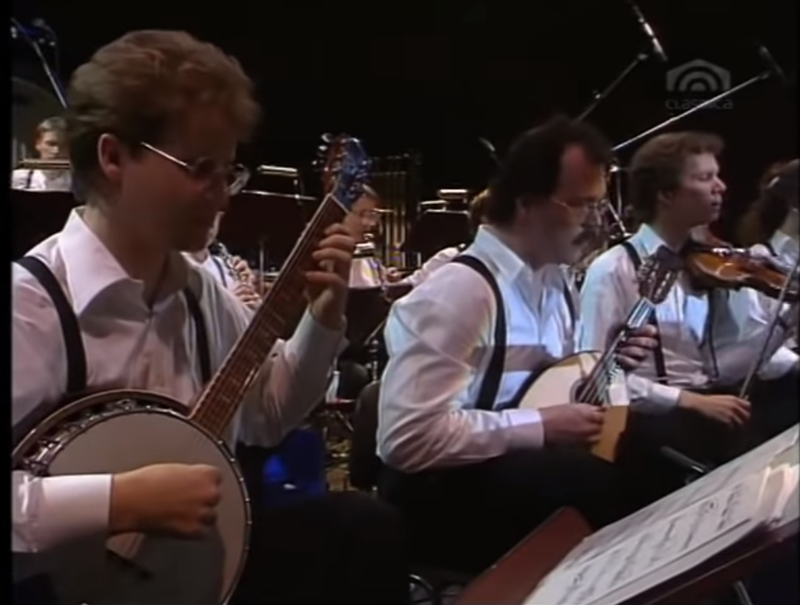 The mandolin player in 1992 was Detlef Tewes. I have made some screenshots from the video showing Detlef Tewes with his mandolin and with Frank Zappa. Jürgen Ruck played guitar and banjo. This concert is really enjoyable and has some great moments, especially in the second part of the concert. 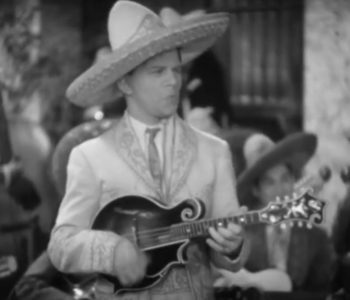 Dave Apollon was one of the most successful mandolin players in the 1930s. He produced many shows, and luckily some of his performances were also filmed and survived until today. So it is now possible to watch this great mandolin player. I have compiled some recent resources with films and music by Dave Apollon. Compilation of 7 short films – poor image quality, but the sound is good. LP & Laundry – Dave Apollon – Mandolins! Mandolins! Mandolins! Mandolins! Listen to side one of the LP Mandolins! Mandolins! 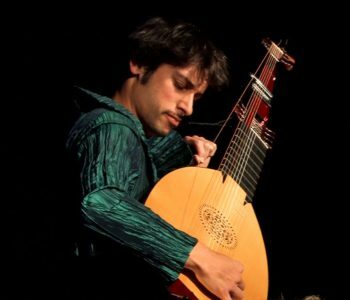 Playlist – Dave Apollon – Mandolins! Mandolins! Mandolins! Mandolins!